Ive got a 835 and im wanting to deep clean and polish what are the supplies that i need? And does it really help. Im reloading tss 8.5 and i just want to get my moneys worth out of it. Re: deep cleaning and polishing. I have not done any polishing, but the deep cleaning really helps. Clark (allaboutshooting) has some good info. I polished a mossberg 500 20 gauge few years ago,and my patterns went down hill. Now deep cleaning,I'm a firm believer. I'll brush until my arm hurts then leave it sit for a hour or so and hit it again. I deep cleaned mine and totally wrecked my patterns. Took a bunch of rounds to get it back right. Sometimes it helps sometimes it doesn't. Just have to try and see. I'm sure glad I didn't polish it. A deep cleaning is no more than Hoppes Bore Cleaning directions. If you really want to improve your patterns you need Cleaning and polish your barrel with Non- Embedding Bore Cleaner and Kroil oil combo. Before Clark Bush had been suggesting his deep cleaning method I have been cleaning all of my guns in that matter. But that never improved my patterns. When I cleaned and polished my barrel with the Non-Embedding Bore Cleaner and Kroil will a brush and cleaning pads my patterns improved. Which barrels are the quality barrels you are referring too? This new fancy "deep cleaning" was always considered a regular cleaning for me. The best place to start testing and finish the season is with a clean barrel regardless of firearm. 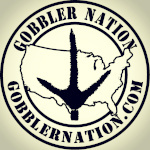 gobbler 83 save your money and spend it on shot and components vs. deep cleaning supplies, this is just my opinion. I see no advantage when it comes to deep cleaning for TSS this stuff patterns great without anything "fancy". Me and several buddies shoot TSS hand loads thru large bores and none of us "deep clean or polish" the barrels. We do clean the barrel and action but no deep clean or polish. A simple regular clean and my barrel looks like a mirror inside. You'll get great results with TSS 8.5 focus on loading shells and your guns POA/POI. Some of our guns shoot just as well with a dirty barrel although I do run a bore snake between shots. Good luck and have fun. I have never " deep cleaned " any of my turkey guns. Have run a bore snake and a brush w patches through them. Have always had great patterns, but my guns are only shot several times each spring. I have cleaned and polished several over the years. It is just MY experience that it was a lot more important and effective in the days of "all lead". Since HTL hit the scene with crazy good patterns, I found the improvements in pattern to be marginal enough that its just not that important to ME anymore. Some wads REALLY shed plastic in the bore and even more so with consecutive shots. While boresnakes are marvelous and get a lot of crap out of the barrel I am always amazed at how a good cleaning with solvent, a bronze brush and patches do to get out even more plastic even when the barrel looks clean to the eye. I never polish chrome lined barrels but I have noticed that non chromed barrels seem to foul less and hold less plastic after a polish with a green scrubbie coated with JB bore paste and wrapped around an undersize broze brush. Chuck a cleaning rod up to a drill, screw on the scrubbie/brush/JB and use a lot of Kroil down the barrel. Mark the rod to stay ahead of the chamber and keep it moving never staying in one spot more than to change directions. I'll go back and forth with a cylinder choke in it for 15 minutes only stopping to add some more Kroil. Then spray the bbl out with Brake Cleaner or Gun Scrubber to get most of the slurry out and clean as normal with solvent, brush and patches. It takes out any microscopic roughness and built up fouling in the pores. The bronze brush/scrubbie is nowhere near as hard as barrel steel but way harder than plastic and powder fouling. Like I said earlier, the barrels that I've done that to foul up less quickly. Patterns either stayed the same or improved in evenness slightly with all else being equal in choke and load. I deep cleaned my 870 for the first time prior to the start of this season. Man was it fouled up... And my results? Worse with the freshly cleaned barrel, right back to where it was before after 4-5 shots. I scrubbed one of my guns with the brass brush much longer and more vigorously than ever and it shot better, tried it on a second gun and it shot better. Ended up scrubbing about 5 of them but didn’t shoot but 2. Interesting that it works for some barrels and not others. Always been a mystery to me how two guns that are supposed to be identical can consistently pattern so much differently. Wish I completely understood everything that was happening with a barrel to cause this. Some guns do like a bit of fouling in the barrel. It happens for a variety of reasons. But, a super clean barrel to start with lets the test base be the same when patterning and it makes the barrel a heck of a lot easier to clean afterwards. If firing 2 or 3 field loads down a spotless bore gets better patterns then I say clean then bang, bang ,bang and test. Then clean, bang, bang ,bang, and hunt. Clean spotless again after the season. Internal barrel dimensions and finishes vary greatly for many reasons. Whatever brand new hone was used to start with gets worn down with every barrel it goes through. Every chamber reamer loses a minute amount of its own material on every pass. Idk if they do ten, a hundred or a thousand barrels for each reamer and hone. And while one barrel is being done with one hone and reamer there are truckloads of other barrels being done with other hones and reamers. All the barrels and chambers will end up within acceptable standards, but even if one barrel is made right after the one before it using the same equipment, it can and usually will vary dimensionally. That internal difference of a hundred thousandth could mean the difference of the wad getting a perfect seal while clean and needing some fouling to achieve that seal. Get a new batch of wads and a barrel that liked it clean may like it dirty because that next lot of wads are a thousandth different than the last. Times all that by a couple dozen other factors and the only thing consistent about firearms and components is that they are all inconsistent. Throw some rifling in a bore and it gets even worse. and thats exactly why no two guns shoot exactly the same. same shell, same choke, 2 of the same shotguns and they will shoot differently. like you stated, rifle barrels will be different, one made right after the other and all things identical, won't group the same and may like a totally different bullet weight to boot.